Arthritis, injuries, strains, infection, inflammation and many other factors can affect joints; causing a person to experience joint pain, as well as tenderness, inflammation and other symptoms that might make life much harder than before. While there are many cases where joint pain is only mild and only causes insignificant restrictions on a person’s life, some people experience more severe levels of pain, inflammation and other symptoms that cause them to experience disability and become unable to perform the tasks they need to perform on a daily basis. 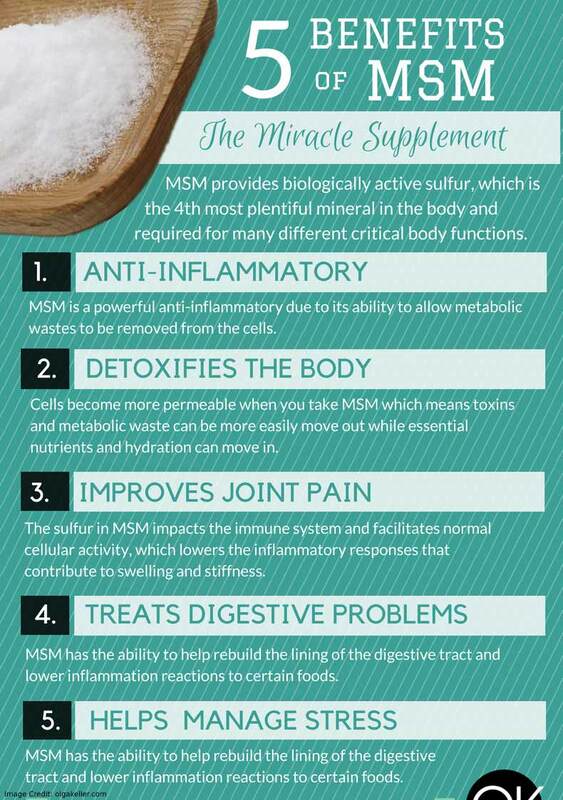 What are the Benefits of MSM Supplements? Can MSM Supplements Help You Relieve Joint Pain? How to Use MSM Supplements for Reducing Joint-Related Symptoms? Is it Safe to Use MSM Supplements? With the significant effect that joint pain and related symptoms can have on a person’s overall lifestyle and even on their abilities, treatment is essential for reducing the havoc that these symptoms are able to wreak on a person’s life. There are, however, several risk factors that are involved in utilizing medication and pharmaceutical options to relieve joint aches, but alternative remedies are available that may help to provide effective results without exposing the body to any harmful risks. 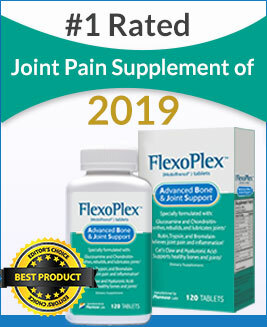 Today, we want to introduce our readers to a particular ingredient that has been clinically-proven to effectively provide positive results when used as an remedy to treat joint pain and inflammation. 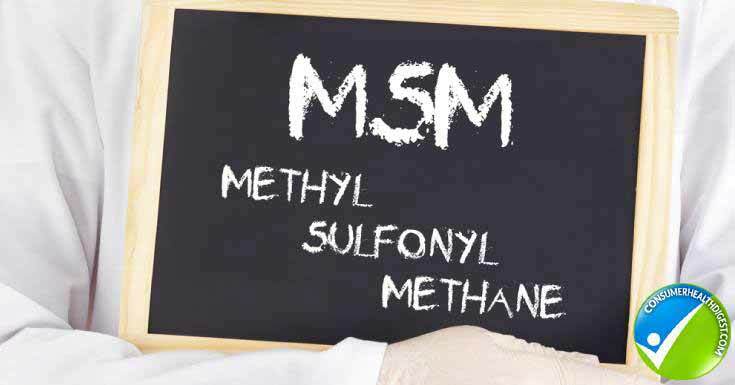 The substance we would like to focus on is called methylsulfonylmethane, also more commonly referred to as MSM. In addition to describing how MSM can be useful, we will also be discussing how some other natural substances can be used to further provide a reduction in pain, inflammation, stiffness and more – ultimately improving the affected person’s quality-of-life greatly. Furthermore, we would also like to introduce our readers to some highly effective substances that contain MSM that can be purchased for fast and effective results. We should really start out by looking at what MSM is. As we have already noted, MSM is short for methylsulfonylmethane. According to WebMD, MSM is a natural substance. It is already found within the human body, which really makes sense that the supplement may be beneficial for improving certain functions in the human body. In addition to being found within the human body, MSM is also found in some plants and in animals. It is also reported that MSM is usually taken as a supplement to assist with the improving joint pain system, especially amongst patients who have been diagnosed with arthritis. Now that we have looked at what MSM is, let’s focus on the benefits that this particular substance is able to offer a user when it is taken as a supplement on a regular basis. As we have explained before, the most popular use of MSM is amongst arthritis patients as it is known that this substance is able to provide effective relief of the symptoms that patients tend to experience when they suffer from arthritis. While these are commonly known facts, we should mention that MSM has some additional benefits that people do not always realize; thus we thought it would be a good idea to take a look at these additional benefits as well. The most popular benefit, as we have already provided information about, is the fact that MSM has anti-inflammatory properties. This is one of the most potent benefits of MSM, and is not only useful when it comes to joint inflammation, but also for inflammation that may be present in other parts of the user’s body. MSM is also able to help the body speed up the elimination process of waste within the body. The substance is so effective that it can even remove waste from the body’s cells. In turn, this can greatly increase the rate at which the body is able to heal itself after injury. In addition to providing an effective way to remove waste from the body, we should also note that MSM has been proven to detoxify the body as well. In particular, the fact that MSM is a type of calcium phosphate dissolver means it is able to assist with the breakup of certain types of calcium that is actually harmful to the body. This type of calcium is known to greatly contribute to degenerative diseases; thus by eliminating the substance from the body can help to slow down the progression of such diseases considerably. Some evidence has also suggested that MSM is also useful in improving overall flexibility of the joints. This is another excellent benefit since individuals suffering from joint pain and related symptoms, especially when the symptoms are caused by an type of arthritis, usually, tend to experience a significant reduction in flexibility and range-of-motion. By looking at the benefits of MSM we have discussed above, it should be obvious that MSM can, indeed, be helpful in relieving joint pain, as well as other accompanying symptoms. Flexibility can be increased through the use of this supplement, and inflammation can be significantly reduced. The big question, however, is whether or not any clinical evidence is available to prove the efficiency of MSM for joint-related symptoms. According to Arthritis Research UK, several scientific studies have pointed out that MSM possesses anti-inflammatory properties, as well as potent antioxidant effects within the human body. The substance is rich in Sulphur, which means it is also able to assist with improving the production of glucosamine and collagen in the body. These two substances, in turn, contributes to improvements in overall joint health, which further assists with providing a relief of the symptoms that arthritis causes, as well as the detrimental effects that arthritis can have on joints throughout the body. MSM is available in various forms for the convenience of the user. The most common way to use MSM is to buy a supplement that contains this particular substance. There are numerous supplements that only includes MSM for individuals who like to take their supplements individually. In addition to these supplements, there are also a large number supplements that combine MSM with some other ingredients that are able to make the formula more effective for reducing the symptoms that a person may be experiencing due to arthritis. MSM can also be purchased in powdered form, which can be added to food or, in some cases, drank by mixing the powder with water. The safety of natural joint pain supplements is often a concern amongst the general population who wishes to start using such supplements. Fortunately, the safety of MSM has been tested in several clinical trials and scientific studies in order to determine whether MSM may be toxic to a user or cause any serious side-effects to develop. These studies found that MSM is very safe to use as a daily supplement to assist with managing the symptoms of arthritis. The standard dosage that was tested for MSM amongst arthritis patients was 1,500mg on a daily basis, but there have been some studies that suggested 2,600mg on a daily basis is also relatively safe. The only side effects that have been reported amongst individuals who have used MSM for the treatment of arthritis or the other benefits that this substance has to offer was mild discomfort in their gastrointestinal tract. Furthermore, no interactions have yet been reported, which means MSM is not likely to cause any problems when used with other types of medication. Now that we have discussed the numerous benefits that MSM has to offer for a person who suffers from joint pain, inflammation and other symptoms that arthritis may be causing, let’s look at some excellent MSM supplements that you can buy to help you better cope with your arthritis-related symptoms. We will not only be looking MSM supplements directly but also take a look at some supplements that combines MSM with other ingredients to provide a more potent formula. Let’s start with our top pic – Flexoplex. Flexoplex is a scientifically-formulated supplement that only utilizes substances that are extracted from all-natural sources, such as plant leaves, plant roots and more. The product has been developed based on quite a large number of natural ingredients that have shown promising results when tested in clinical trials to determine how well they can assist with the management of symptoms associated with arthritis, such as inflammation and pain. 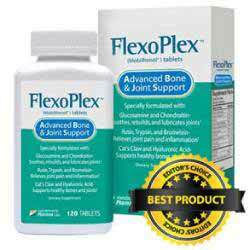 In addition to these effects, the Flexoplex formula has also been developed in order to assist with potentially rebuilding and repairing the damage that has been done to cartilage found inside of joints. Flexoplex can be purchased from their official website, and comes in different packages. These packages have been developed in order to ensure that there is an option for every customer, whether they would only like to test the product our for a month, or would rather like to invest in a 6-month supply of Flexoplex. This product is manufactured by NOW, a company that specializes in a variety of natural supplements. NOW MSM 1000mg is a specializes supplement that only includes a 1000mg dose of MSM in every single capsule; thus it is perfect for any person looking to only take MSM or for someone who prefers to purchase separate supplements based on the particular ingredients they require for certain functions. The product comes in a bottle that contains a total of 240 capsules and is very affordable, especially when you compare the price of this product to similar ones on the market. 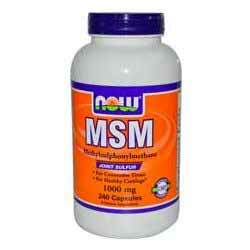 We should also mention that NOW MSM 1000mg is one of the top-selling MSM supplements on Amazon at the moment. A joint support supplement by ZENWISE that include an advanced-strength formula targeted to provide effective pain relief methylsulfonylemethane to people who suffer from arthritis. Instead of only providing a potent dose of MSM, this supplement also includes many other ingredients that provide effective anti-inflammatory effects, as well as help to alleviate pain and reduce joint stiffness. In turn, this will help to improve the user’s quality-of-life. The formula will also help to increase mobility and flexibility; thus allowing movements to become easier and pain-free. All of the ingredients found in ZENWISE Joint Support’s formula are included in relatively high doses; thus it is important to closely follow the dosage instructions that are provided on the product’s label. The supplement should be taken as a daily joint support pill as the ingredients may need some time to fully take effect and provide the user with the particular benefits that they are expecting to experience through the use of the supplement. Joints are important for the overall function methylsulfonylmethane of the human body, and allow us to move about during our daily lives, as well as allow us to care for our families, work and more. 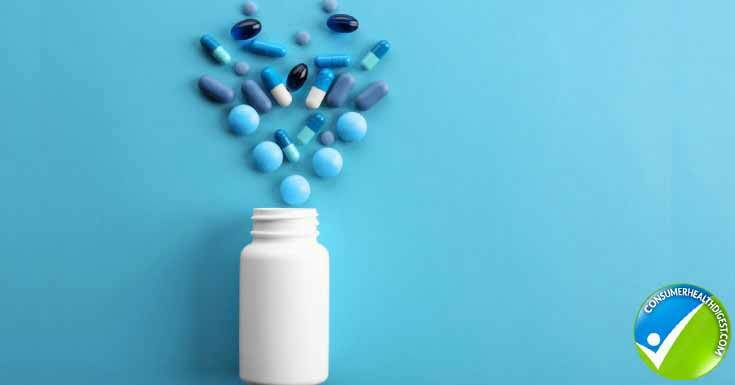 Unfortunately, many people experience a significant number of side-effects when they use conventional treatment options to treat their condition. Luckily, alternative options are available to provide a relief of symptoms without experiencing these side-effects. In this post, we have taken a look at how MSM can be helpful in providing the required relief, as well as considered some additional substances that may also be useful for treating joint pain naturally. We also provided a variety of MSM supplements that you can start using today to help you ease the symptoms you are currently experiencing. Disclosure of Material connection: Some of the links in the post above are "associate sales links. "This means if you can click on the link and purchase an item, we will receive a commission. Regardless, we only recommend products or services which we use personally and/or believe will add value to our readers. We are disclosing this in accordance with the Federal Trade Commission's 16 CFR, Part 255: "Guides Concerning the Use of Endorsements and Testimonials."